Can you imagine the sun glistening off this dazzling necklace as you strut down the runway? Treat her like a queen with this popping gold necklace, she’ll be sure to treasure it for years and years to come! 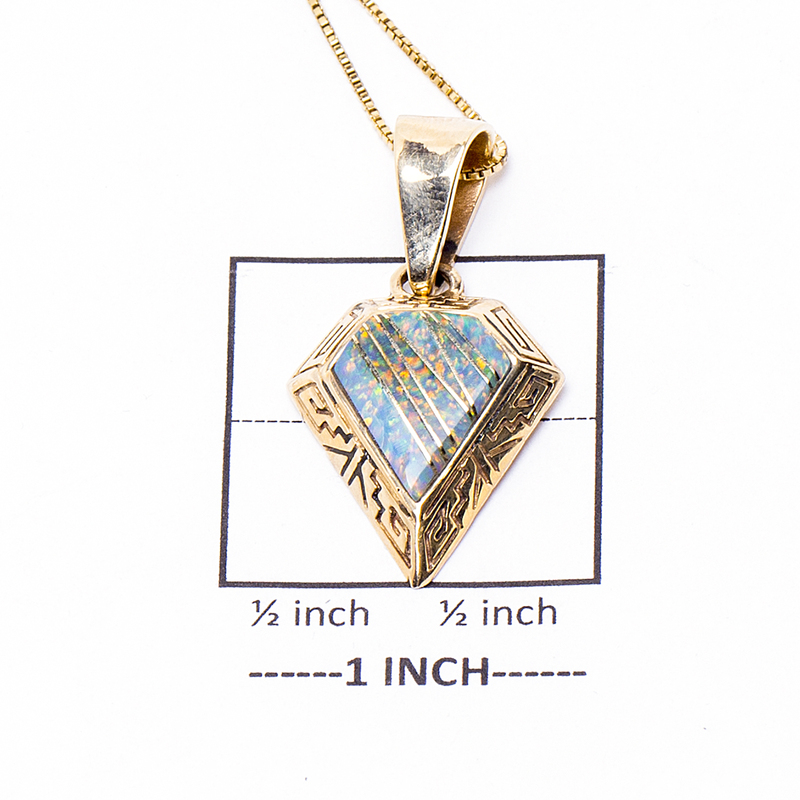 Pendant features synthetic opal surrounded by stunning 14k gold. The pendant in this necklace measures to 1 1/2″ in height including the bail, 3/4″ in width, and weighs 6.4 grams. The 16″ gold fill chain is included. The chic & trendy design was handcrafted by Navajo artist and Silversmith, Calvin Begay. We also offer free gift wrapping with each purchase. 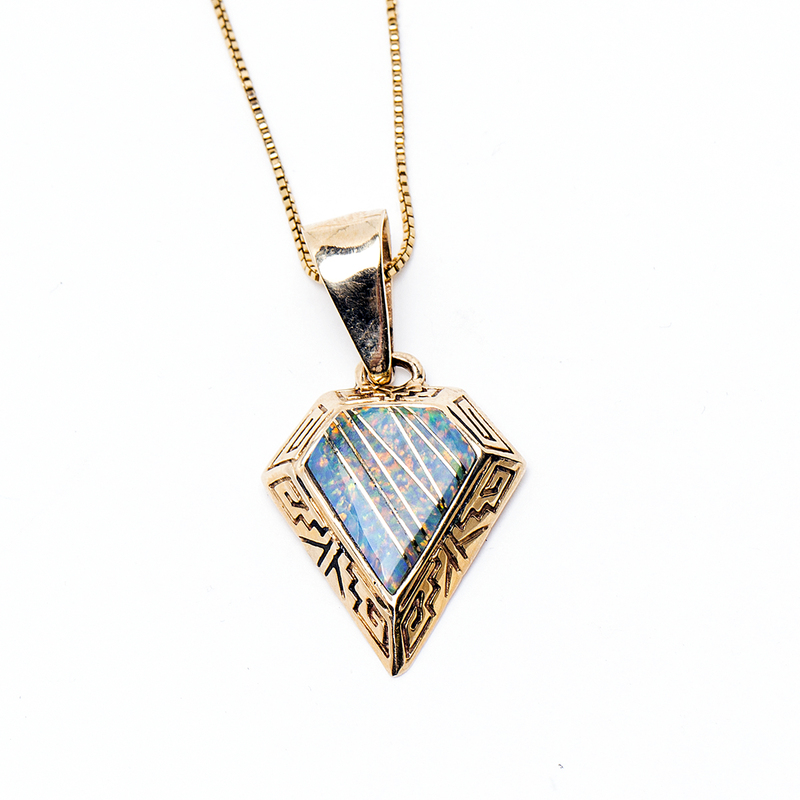 Calvin Begay 14kt Lab Opal Necklace, sweet angular shaped pendant with intricate designs along the edges. Perfect for the special woman in your life!